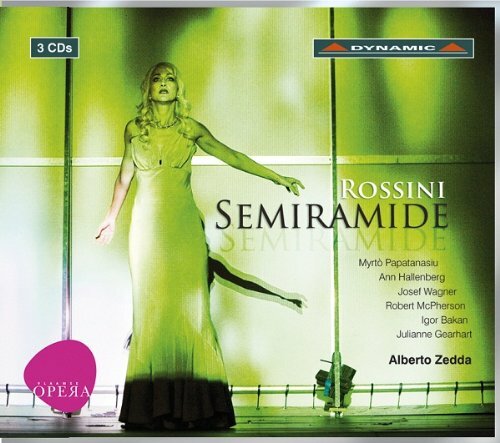 The set is led by a truly fantastic Semiramide from Myrtò Papatanasiu, not a soprano I had ever come across before that evening in the theatre, but one I have certainly been looking out for since. Her command of the role is exceptional, showing compelling technique, arresting stage presence and glowingly beautiful voice. Listening to the way she cuts through the crowd in the first scene’s ensemble should be enough to silence anyone who claims that we don’t have the singers for this repertoire any more. She rises with great and justified assurance to the challenge of the big moments, nowhere more impressively than in Bel raggio lusinghier which is sung with total confidence and utter vocal security. OK, she may not have the opulence of, say, Joan Sutherland, but she shows that there is another way of doing it which is equally valid, and her ornamentations are sensitive, intelligent and imposing. Her injunction to the assembled crowd to obey her choice of successor is extremely impressive. She unquestionably has the proper equipment for the role and deserves to be heard.